Last weekend my brother got married! It was a totally gorgeous wedding out in Laramie, Wyoming, and we had the best time celebrating with family and friends. The best part of it all is that I now have another sister, whom I adore. 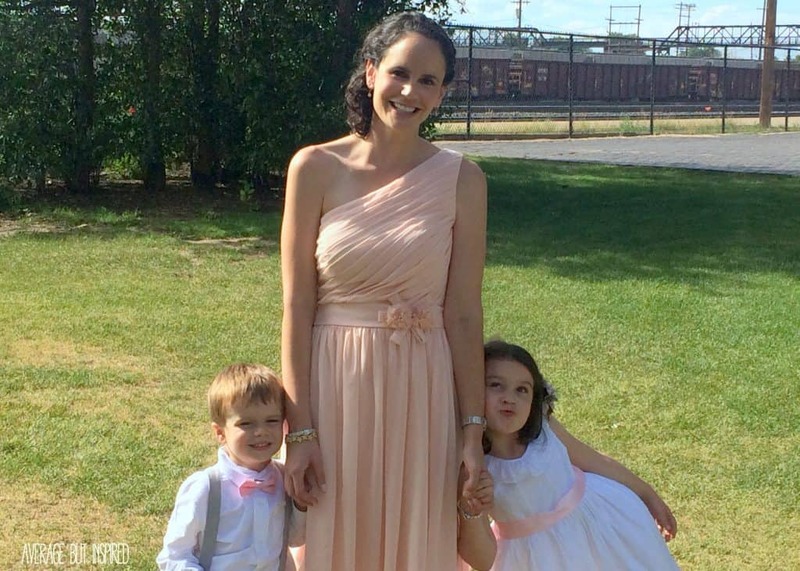 I was a bridesmaid, and my kids were the flower girl and ring bearer. And because I like to make a lot of extra work for myself and create unnecessary stress, the day before we left town, I decided to make my kids some totally cute t-shirts to help notify everyone they were part of the wedding party. 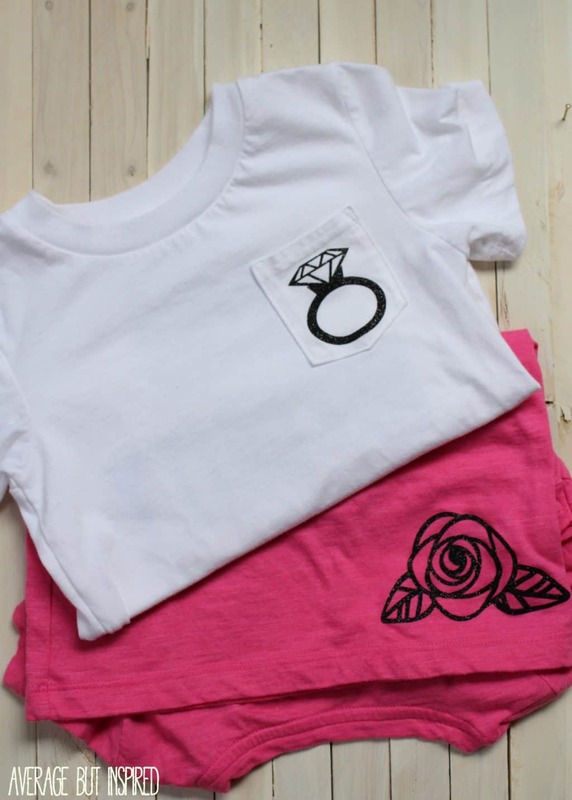 You really don’t need much to make these adorable shirts. 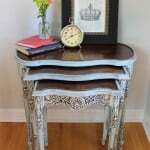 I used an electronic cutting machine to make mine, but that isn’t necessary to get a similar look. Please note that some of these links are affiliate links, which means that I earn a small commission if you purchase through them. To read my full disclosure policy, please click here. 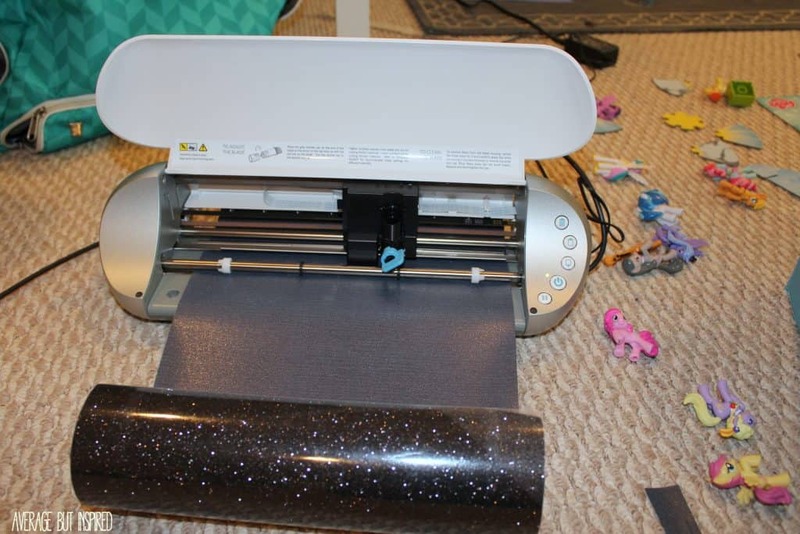 ***If you don’t have an electronic cutting machine, simply purchase pre-cut iron-on transfer letters and embellishments. 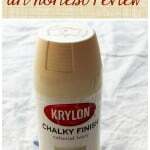 Michaels has an amazing variety of letters and embellishments. 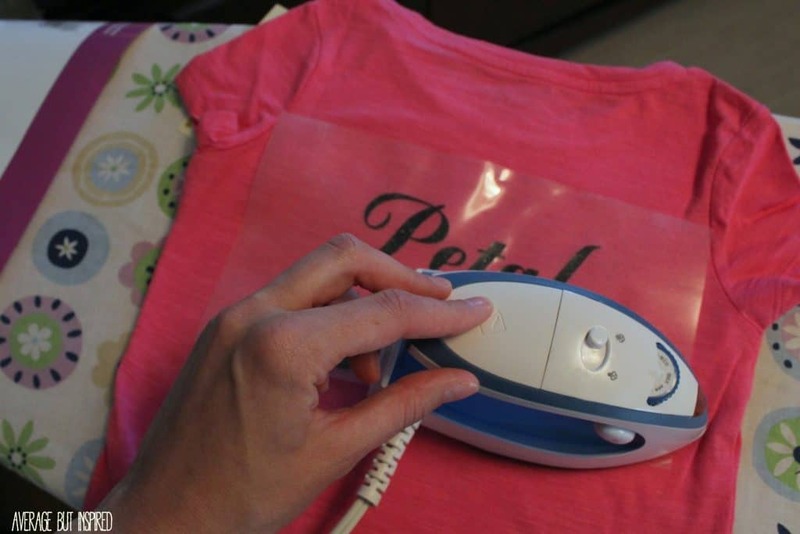 As I mentioned above, I used an electronic cutting machine to make my kids’ t-shirts. If you don’t have one, then just purchase iron-on letters and follow the instructions on the package to make your own shirts. If you do have a cutting machine, here’s how I made these! 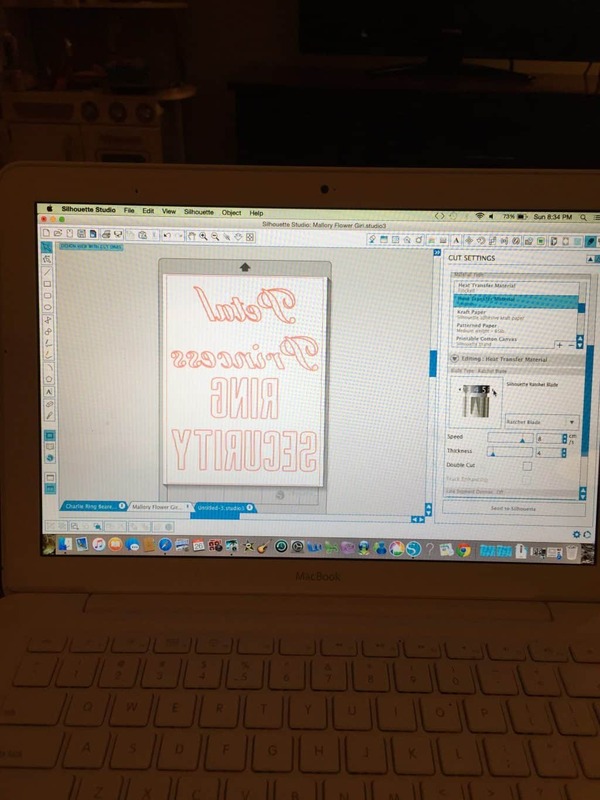 First, I designed the text I wanted in my cutting machine’s software, making sure to mirror image the text. Next, I cut my iron-on vinyl. With a brand new blade, it cut perfectly on the settings suggested by the cutting machine software. (Notice the My Little Pony convention happening right next to my machine?) I also downloaded a ring design and a flower design and cut those. They turned out SO cute! I definitely high-fived myself on a job well done. 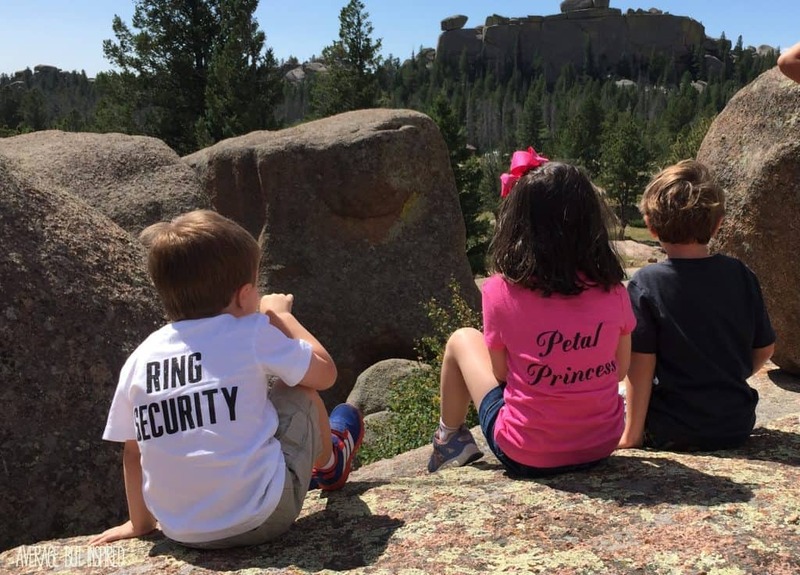 I let my kids wear these the day of the rehearsal dinner while we did some rock climbing in Medicine Bow National Forest. They loved them because they got so much attention from everyone they saw that day. As if they needed any more attention. And just for fun, here’s a picture of the kids and me after the wedding ceremony. It’s the only one I have so far from the day! Of course somebody had to be making a strange face. Of course t-shirts like these are totally unnecessary, but they were a fun part of the celebration, and for that reason I’m glad I decided to make them at the last minute! I bet you got a lot of comments when people saw those cute t-shirts walking by. You look BEAUTIFUL by the way! I have neither a cutting machine nor a cute little iron like the one in your picture, but I’m sure I could do it with iron on letters. I like making special touches as well. I once stenciled a bunch of canvas bags for a family reunion. It was fun! These are so adorable! 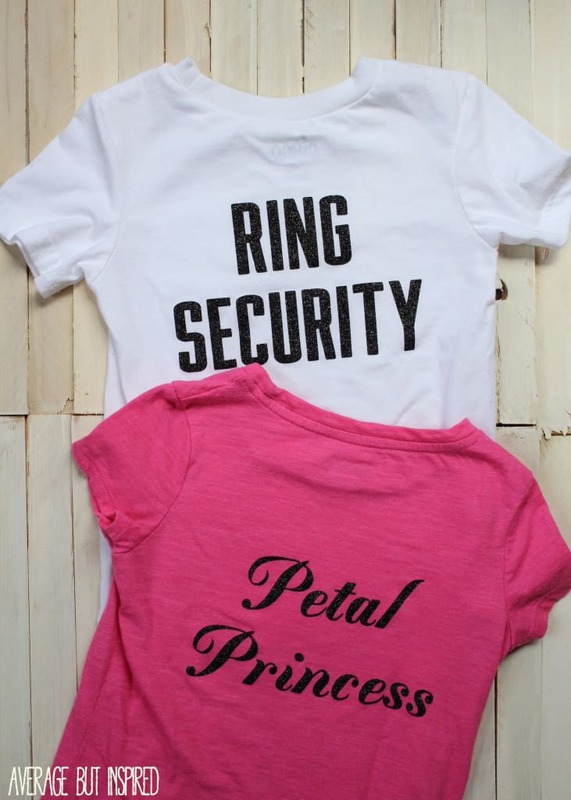 And I absolutely love the ring bearer being referred to as “Ring Security”. How much would you charge for one of each of these? Love the shirts! Where did you download the ring and flower from? Aloha Bre! Cute t-shirts! I’m getting married in June 2017. l’m looking for ways to make sure that everyone in my wedding party feels special. When I saw your adorable kid’s shirts I said, “That’s it!” Thanks so much for sharing your idea! Love the shirts! So cute- where did you find those teeshirts plain? I like how they have a pocket on the front? Thank you for sharing!